One of my favorite parts of social media is social learning. There is a treasure trove of information at your fingertips if you look, listen and absorb from the social community. I was on a couple chats with people who expressed that they don’t follow more than X amount of people with the implication that more than that is too many to manage. Early on in my social media career I had those thoughts too. Thoughts like: “How do these social influencers manage thousands of people they follow and how do they still find a way to engage with me!” So, I did what I do best: LISTEN. I observed, listened and learned through these remarkable people. Don’t miss out on following people because you don’t think you can manage it. One of your social goals should be brand awareness, whether you’re a business or an individual. What better way to gain this awareness than connecting with more people and establishing more relationships! As your followers grow, creating lists is imperative so you don’t forget to engage with those you care about. Because engagement is key in social. Here is Twitter’s brief explanation on how to create lists: https://support.twitter.com/articles/76460#. This is very useful information. Don’t forget to check “member of”. 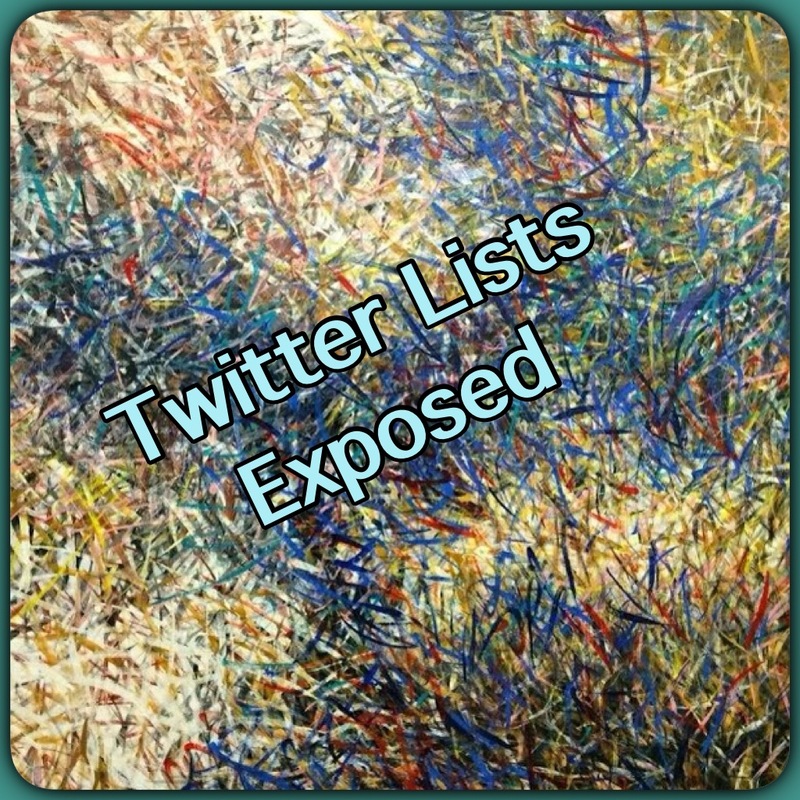 This is where you will find a list of who has you listed. When someone lists me, I put them in this list: https://twitter.com/TranslationLady/lists/thanks-for-the-listing, that way they get thanked in their notifications with just a click of the button. Twitter lists ROCK and here are 10 helpful tips. Create lists that breakdown your industry. We have lists for: construction, interior design, etc. How I increased my followers early on was through my favorite morning ritual. You can find that list here, Sharing Coffee: https://twitter.com/TranslationLady/lists/sharing-coffee?lang=en. You can subscribe to lists too as shown in Twitter’s explanation noted above. All it takes is a click of a button. Why reinvent the wheel especially if you engage with these people already. Look at @kbtribechat; they have a couple lists. One is Kbtribe Brands. Instead of creating a similar list, we subscribe to the list and so do more than 20 people. Creating lists is a way to do market research as well. What are your competitors up to? You can also make a list private. If you don’t have a long list and want time to create it, you can make it private and then change it to public when you are ready to go live. Or, keep it private for your eyes only. Creating a list of competitors that you want to keep an eye on would be best to keep private. Creating a list of people you meet is also a good way to stay engage and abreast of what they are doing once you are back in the daily grind. Make a list for shows/conferences you attend or want to attend. You don’t have to leave your booth to see what is happening all around you. This gives you insight as to who is there as well. You can drive traffic to your booth by engaging with them as well. If you aren’t at the conference, you can vicariously see what is happening while you are still back at the office. The sky is the limit with lists: here are some more examples to get the creative juices flowing: blogs you read, peers, subjects you interested in, people with common interests, etc. Go to some of your favorite creative people on Twitter. They have some of the best ideas for lists. All of these lists can help you with content. Blogs you read, for example, are probably relevant information your community wants to read as well. Being helpful is important and sharing other people’s content (OPC) is as well. Try to keep an 80 OPC/20 YC (Your content) rule. You never want to run out of content. Content is crucial. You can even create a list for research purposes like Ted Coiné did which was discussed in A World Gone Social by Ted Coiné and Mark Babbitt. We included a couple posts that Buffer and Kim Garst produced that have even more ways of using lists. Comment below with any additional ways you use lists. That is what social is all about: sharing information.